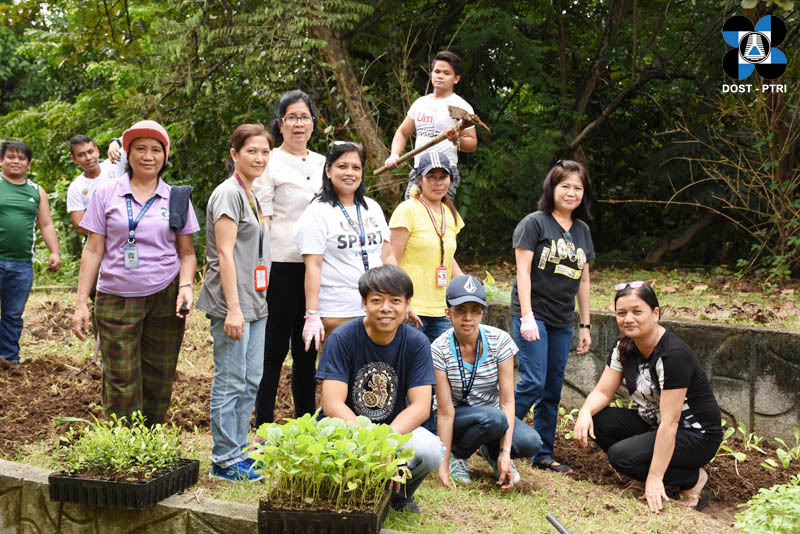 TAGUIG CITY – The Philippine Textile Research Institute (PTRI) participated in the annual Clean and Green planting program, with assistance from the Department of Natural Resources (DENR) and the City Environment and Natural Resources Office (CENRO) of Taguig. 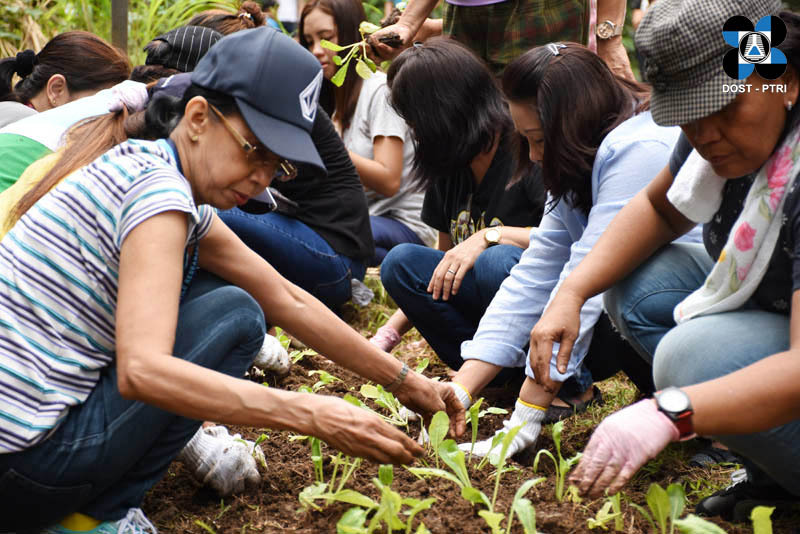 Using seedlings, employees from all departments, alongside Director Elumba, transplanted various native vegetables at the Institute's grounds. 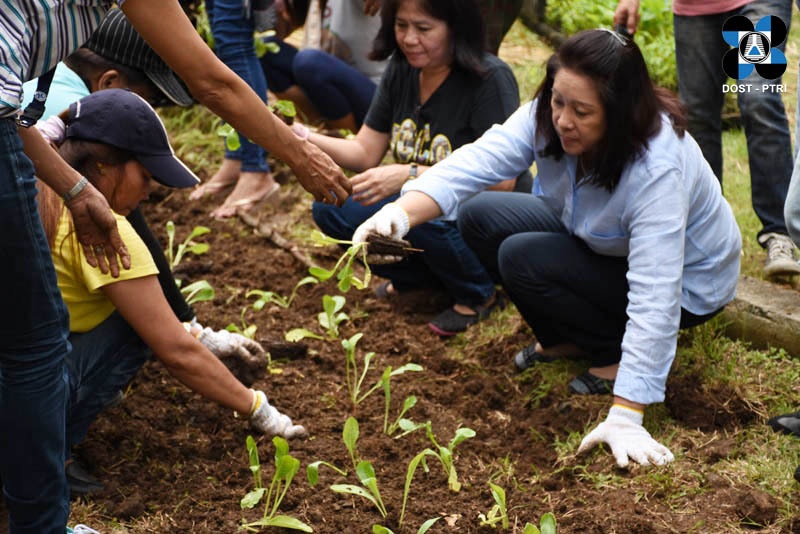 Agriculturists from DENR and CENRO facilitated the activity by teaching proper transplanting, handling, and care of plants. Held annually and spearheaded by PTRI's Human Resources Department, the Program aims to promote awareness on caring for the environment; encourage the abatement of climate change impacts; and foster camaraderie among the Institute's people.